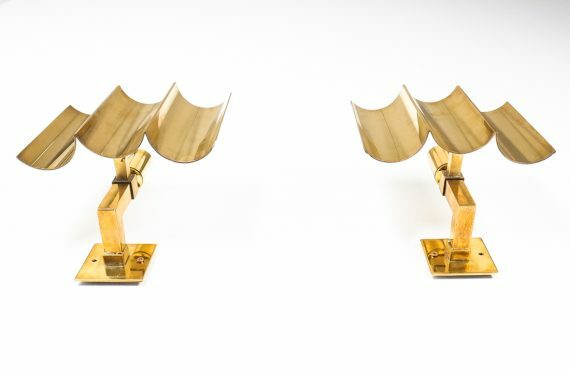 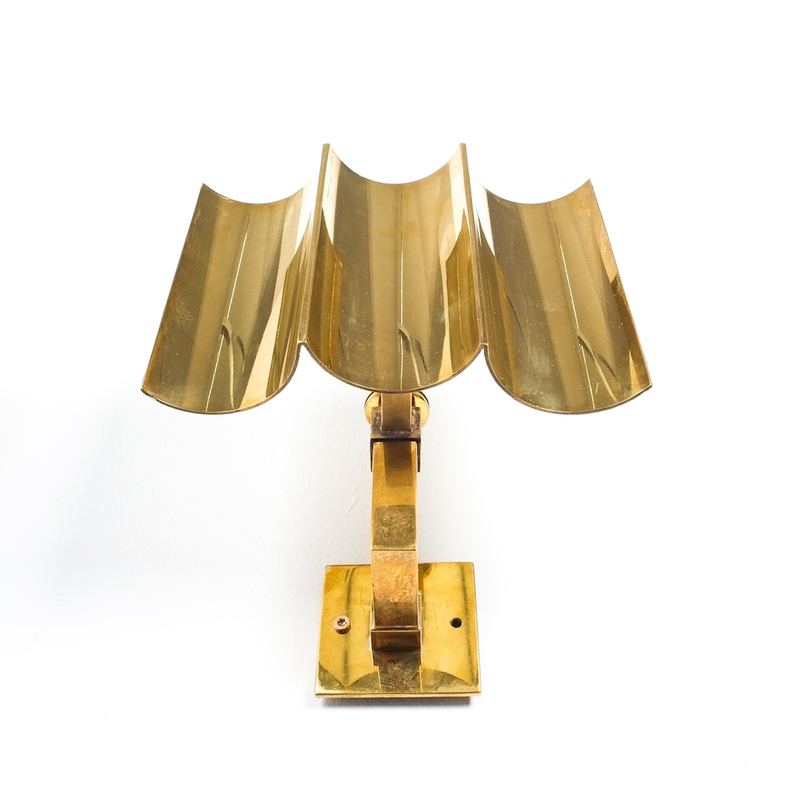 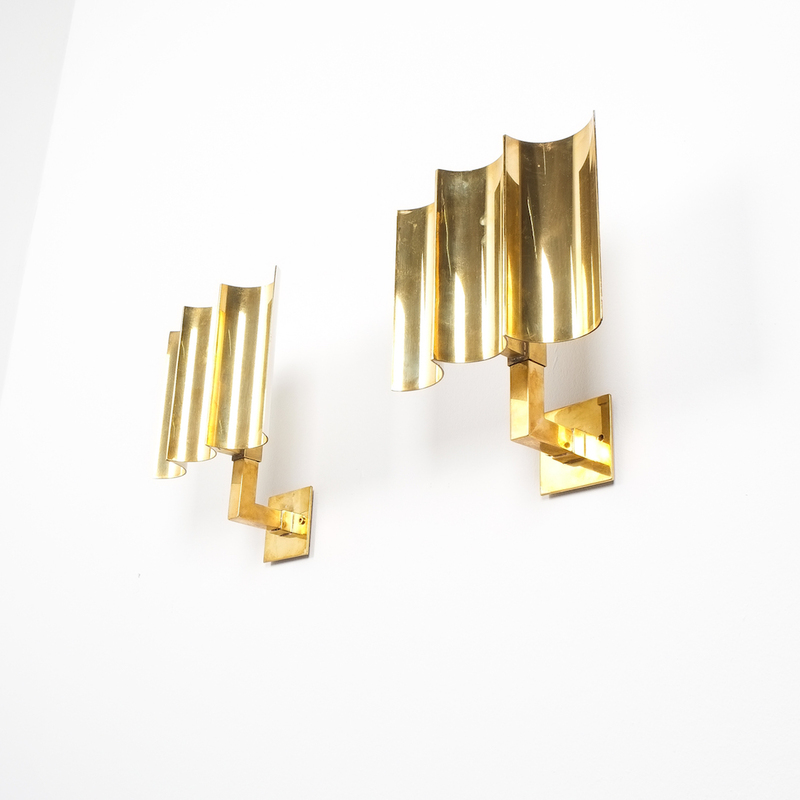 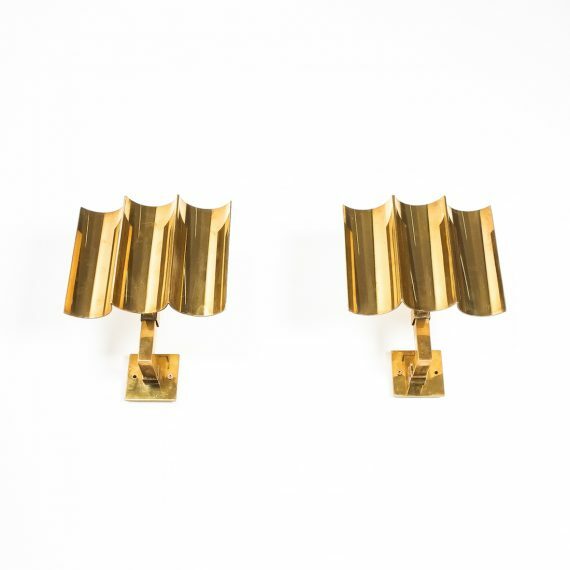 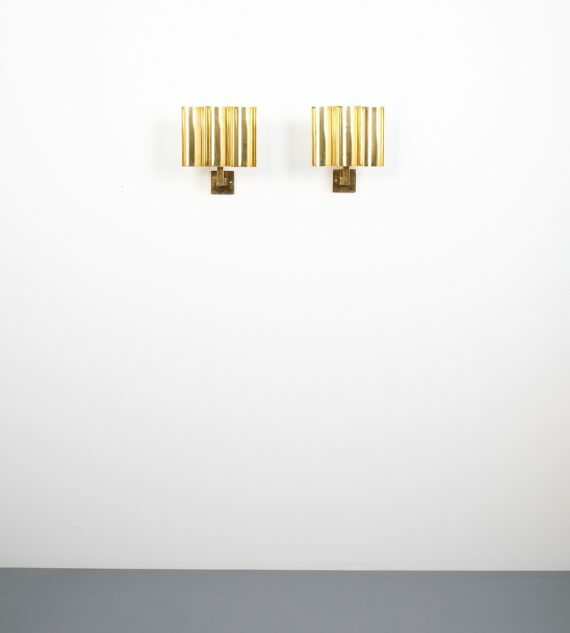 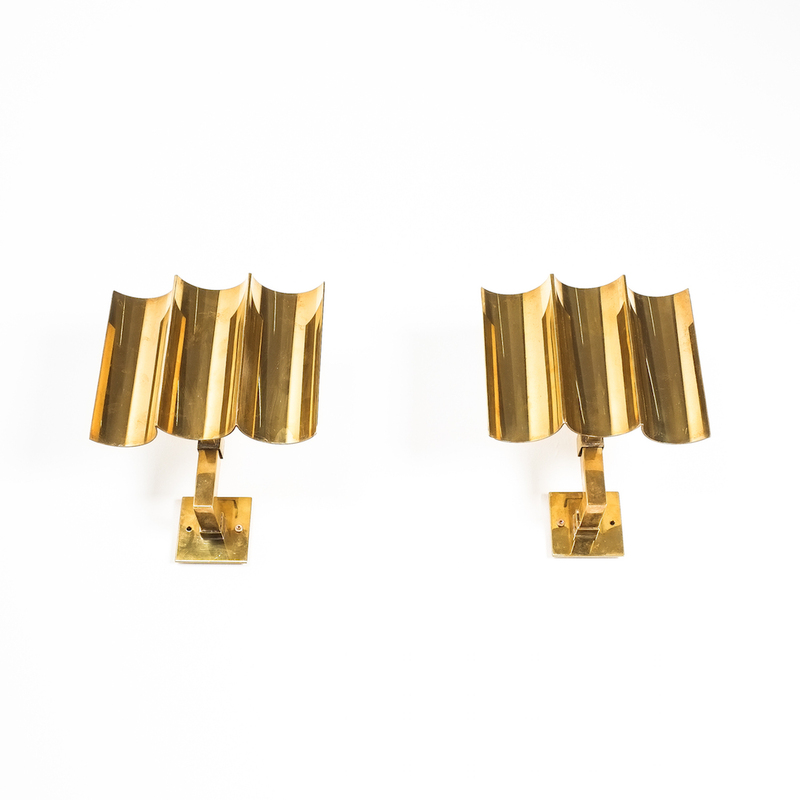 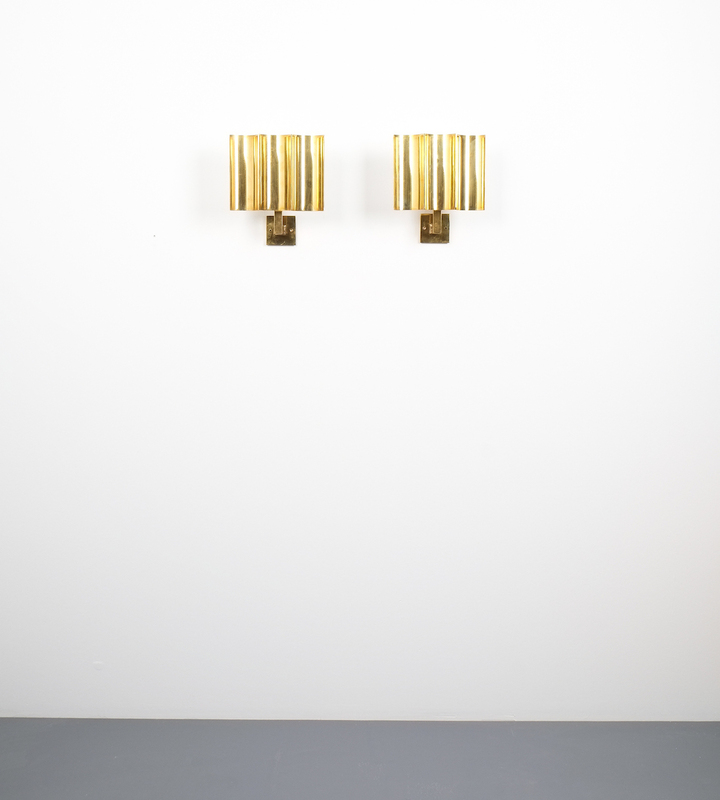 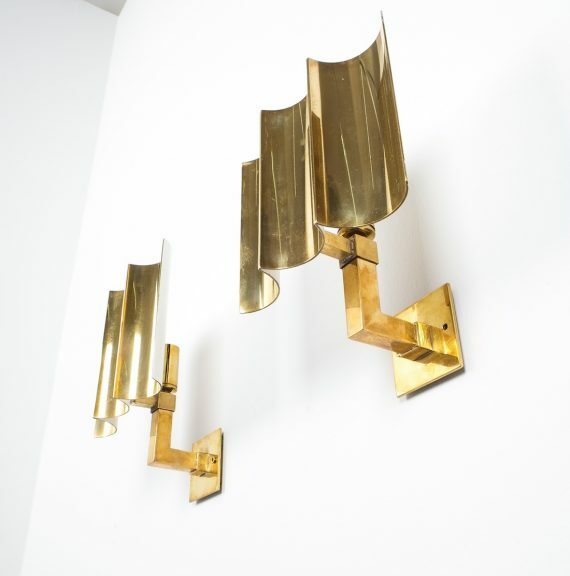 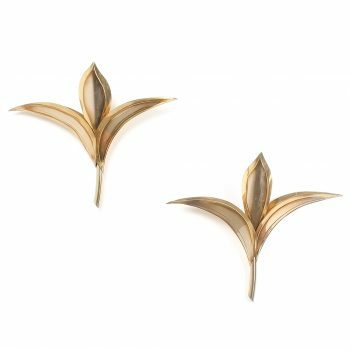 Art Deco Style Artisan Solid Brass Wall Lamps, France 1950. 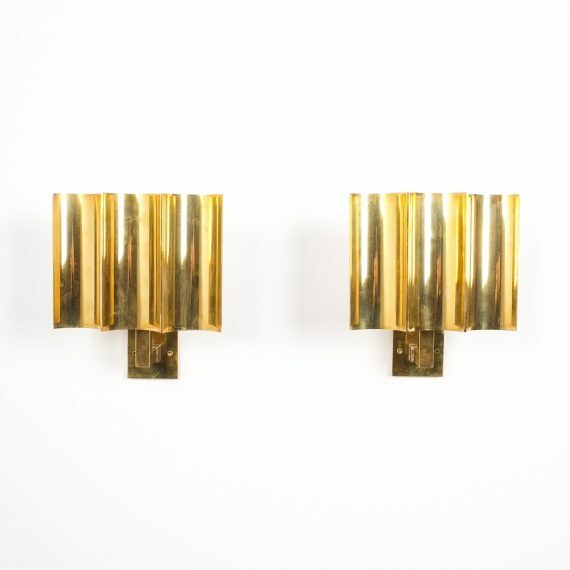 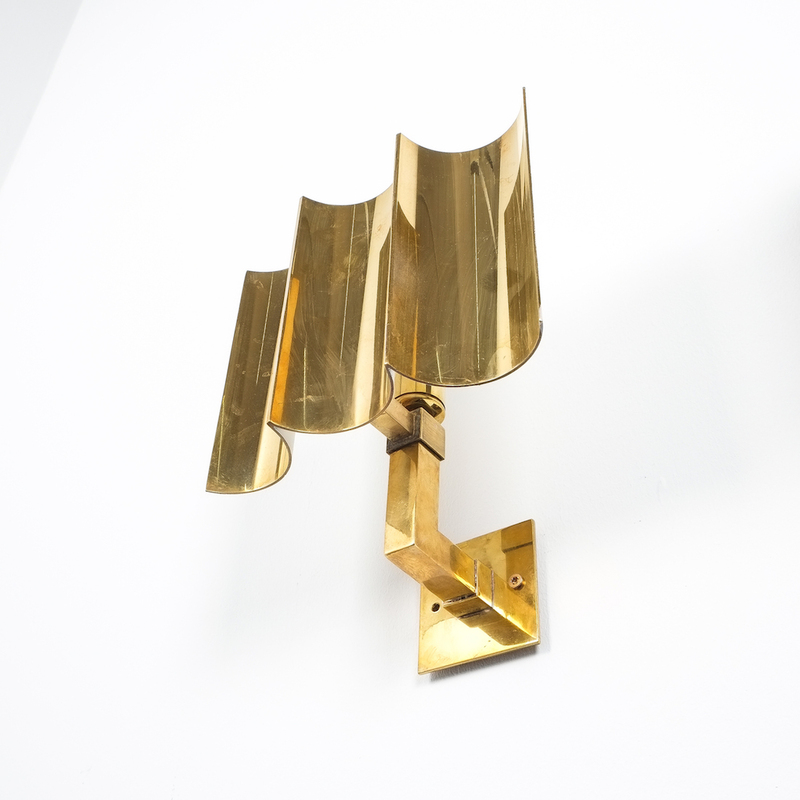 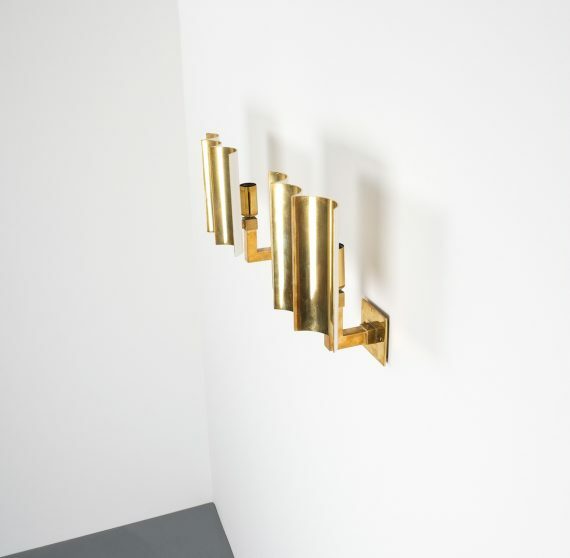 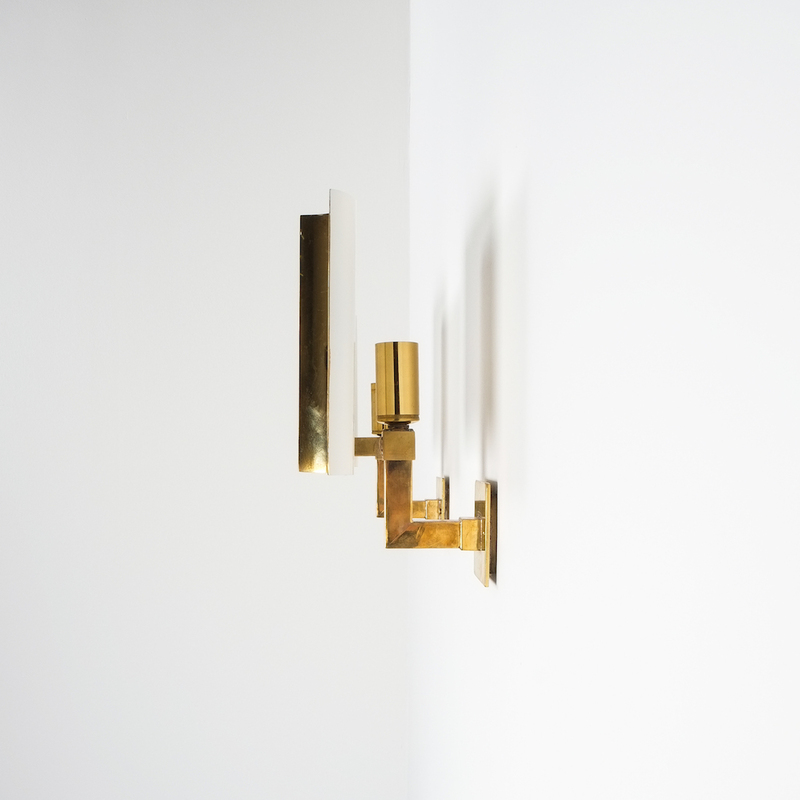 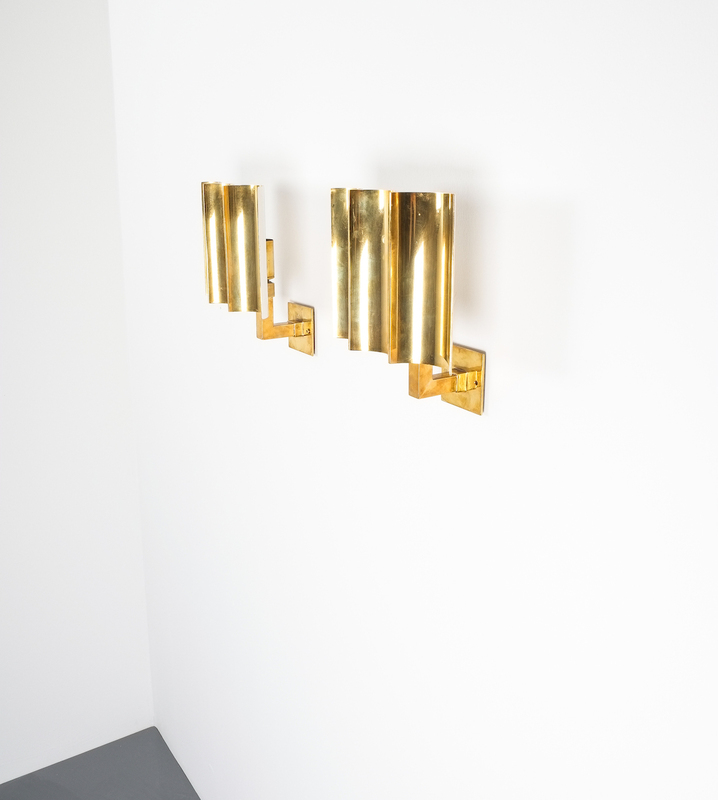 Very elegant handmade brass wall lights made from thick brass sheets; great craftsmanship with a single bulb per light (e14, 40W max) The lamps have been newly rewired (US +EU standards), carefully restored and given a new layer reflective white layer at the reverse. 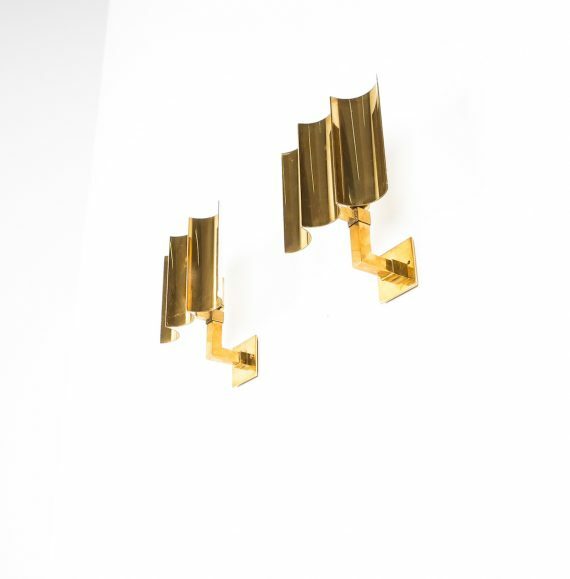 These lamps are great for flanking a mirror.